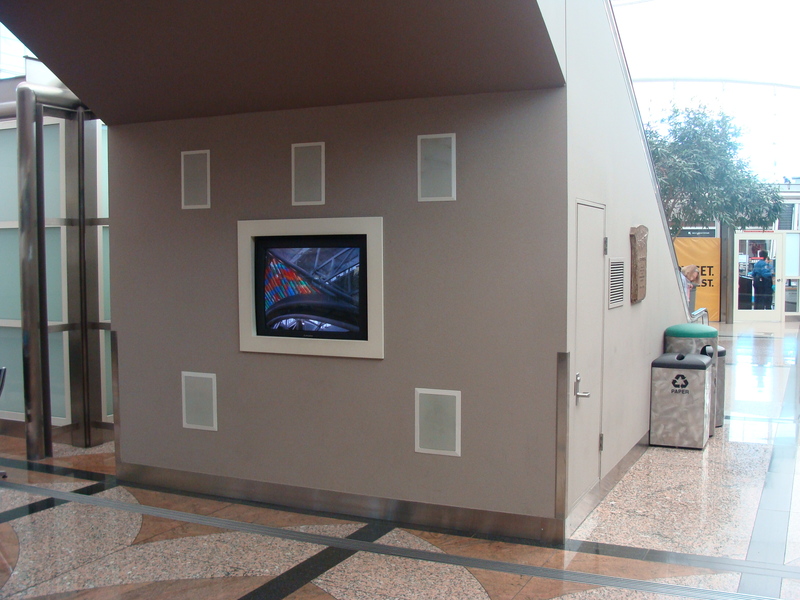 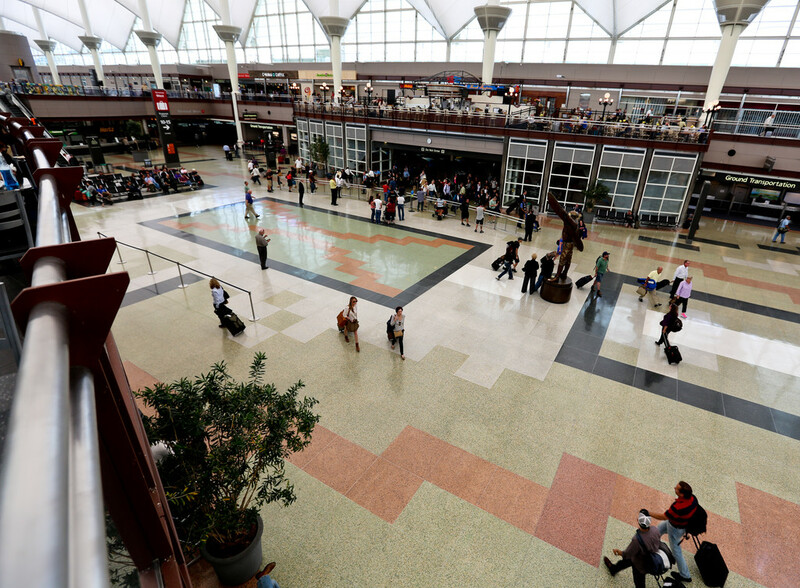 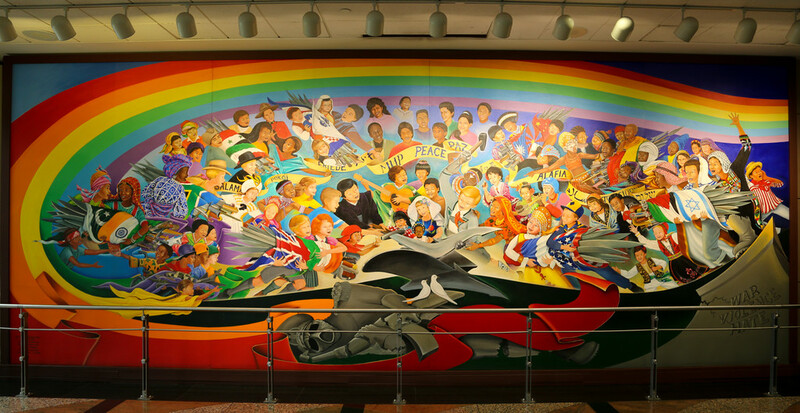 The floors of B Gates incorporate the unique geology and geography of Colorado in "21st Century Artifacts." 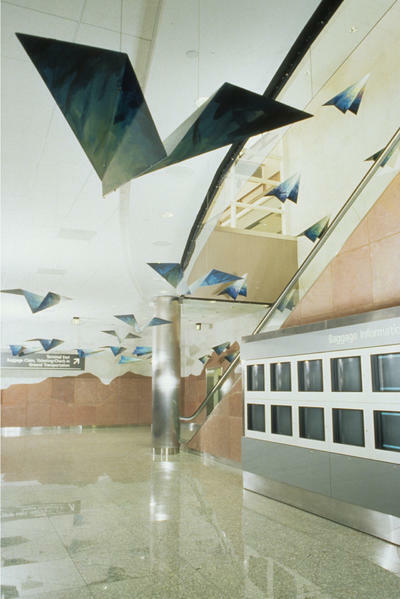 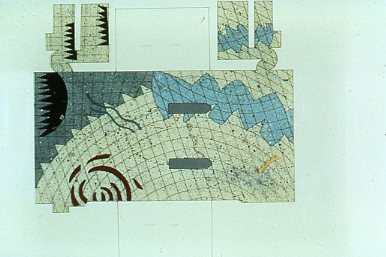 Broad areas of colored terrazzo are inlaid with stone patterns, precast concrete shapes derived from fossil forms found in Colorado, and cast bronze embeds. 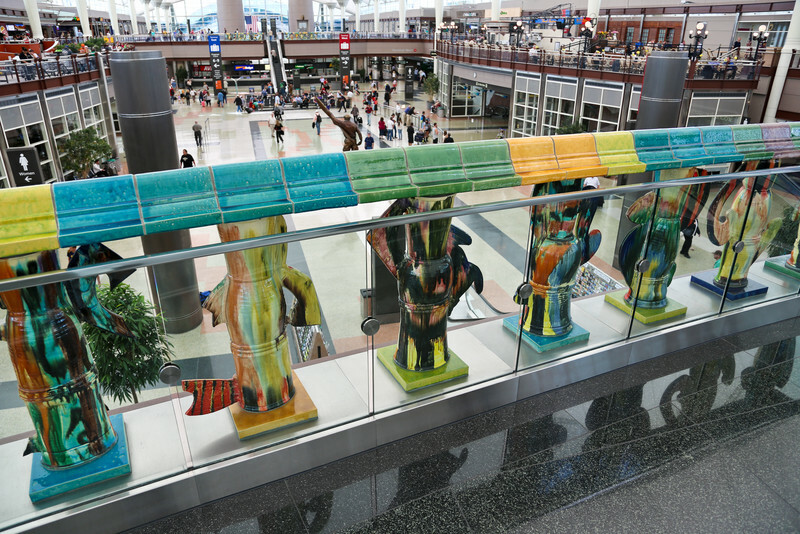 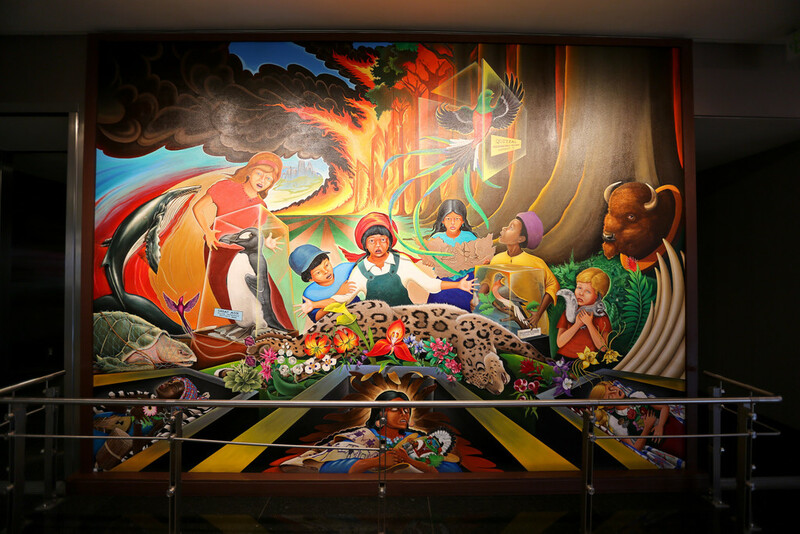 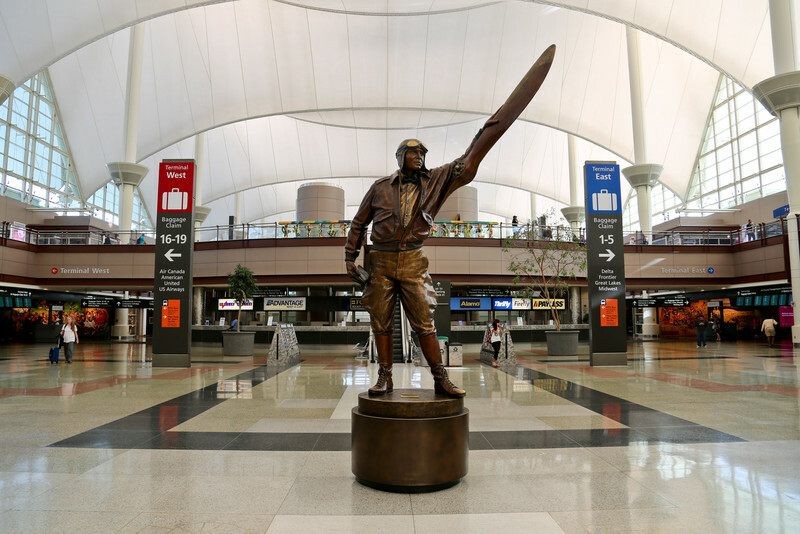 The bronze images are selectively located throughout the floors and depict indigenous fossils, Native American symbols and names of notable Colorado areas.